There is no doubt that the music industry is one of the toughest and most competitive. One aspect of the work musicians today have to face also includes promotion via the internet which means having and managing a website. But there are so many different hosting platforms out there, how do you know which is the best hosting for musicians? Well with everything else you have to do I have done the hard research work for you. You can get on with being creative and honing your talents, while I put in this article all the information you need on having a website to build up your fan base and be better recognized. Below are ten of the platforms that are best hosting for musicians. You do not have to be a programmer or developer, putting up a website and managing it is an easy thing nowadays. Especially with the hosts I have chosen for you, which all have easy installation, good support and competitive prices. Use the site to promote new material, link to new gigs, connect with fans and build up awareness of your brand. However it is true that websites do cost money. Depending on your finances it is possible you will want to keep the cost of your website down. Therefore I have looked at Shared Hosting specifically for your website hosting needs. 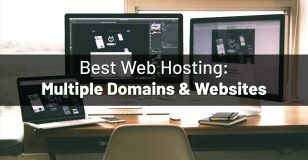 When it comes to hosting websites there are actually different types of options depending on the site or sites you are going to be running. For example the kind of features you need to host a gaming server is quite different to what you need to host a simple blog. Examples of those different hosting options are Cloud Hosting, WordPress Hosting, VPS Hosting, and Dedicated Server Hosting. The kind of hosting a musician would be looking for is most likely to be Shared hosting, at least at first. As the name indicates it means you and a number of other people share the space of a server so that the costs are not as high. Your data is safe but sometimes if another person on the same server as you is eating up a lot of the resources that can affect how your website performs. For example with Shared hosting things like site crashes or slower speeds can happen. The rest of the article will look at the ten best hosting sites for musicians. I have also included a chart to compare some of the basics you want from a good hosting platform like price, bandwidth, uptime and disk space for example. The chart focuses on the cheapest Shared Hosting plan the hosts have to offer. You can always upgrade as your numbers increase and you need more from the host. 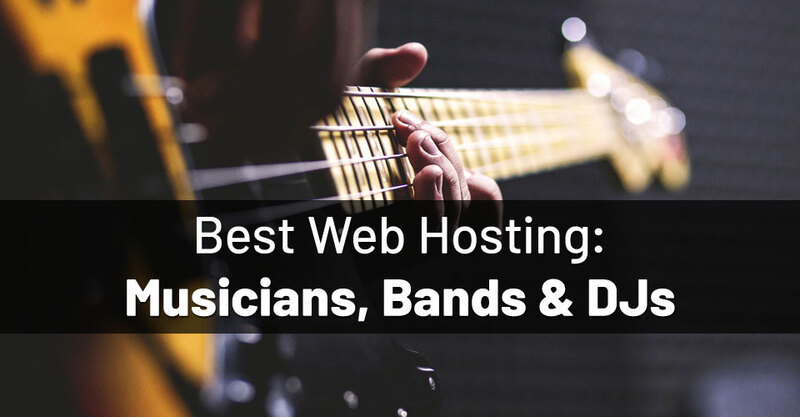 Here is an overview on what the ten best hosting for musicians are offering using their cheapest Shared Hosting plan. 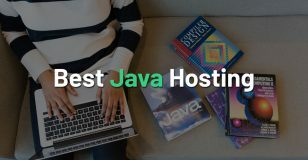 The first on my list of ten of the best hosting sites for musicians is BlueHost, a site I often recommend when people ask about what platform to host a site with. This reliable host offers various forms of hosting, VPS, WordPress, Dedicated and also the cheapest option of Shared Hosting, the better choice for musicians counting the pennies. There are four plans in its Shared Hosting platform, the lowest costing is Basic, with a usual monthly price of $7.99, then there is Plus, then Choice Plus, then Pro the more expensive at $23.99 a month. For things like help towards spam, marketing, domain privacy or backups you would need to pay more and opt for a higher tier offered. It also has just standard performance but it is recommended by WordPress and has been since 2005. BlueHost is very easy to navigate and get started with. It also has 1 click installations and you really could have a music website up and running quickly with little trouble. If you are just starting out as a musician and this is a new website the basic plan will be just right. With the right website you can keep visitors coming back and turn them into real fans! Whatever your skill level with easy to follow steps and 24/7 support you can create a secure site with BlueHost. 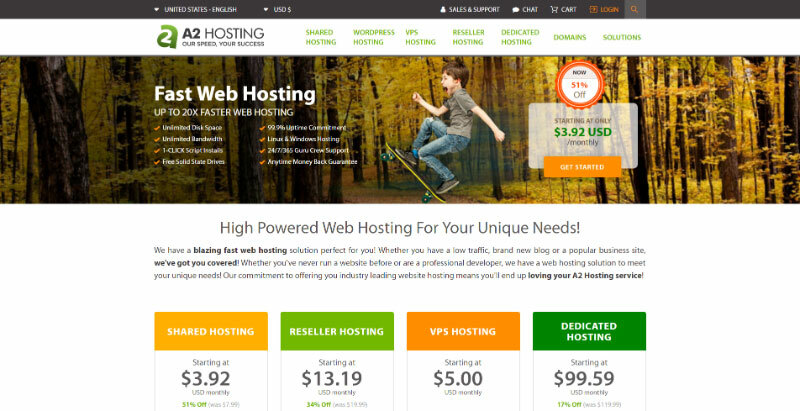 You can also earn money hosting with them as they have an affiliate program. Any musician friends you recommend them to that become actual customers with BlueHost can earn you a $100. There is also a money back guarantee of 30 days if you change your mind. However you are limited to Linux servers, BlueHost do not have Windows servers. Another good hosting site for musicians is iPage who have been hosting sites for about 20 years and have around 1 million customers. They are easy to use and popular with their existing customers. Instead of having several plans with different levels of options they just offer one plan for everyone. That shared hosting plan costs a regular price of $7.99 per month though it can be cheaper for a period for new customers. iPage could be a great option as not only is it affordable you get more from the plan, with unlimited disk space, scalable bandwidth and unlimited domains. iPage have a lot of features that may appeal to the artistic side of musicals, there are photo management options, one click WordPress installation and thousands of templates for free. The website builder works by dragging and dropping making it quite an easy process. It is also a secure option and you get some free marketing tools so you will be able to promote your site and music. There is 24/7 support in case you need any help with anything or any questions. There are two locations for their data centers and they both have backup generators and power for those just in case situations. With iPage you get the industry standard 30 day money back promise, but even so they are harder to just try out for a short period as they do not have shorter term plans. Their plan is a good one though and should meet most needs from bloggers, shop owners to musicians. Whether you are just starting out in the music industry or already established a website is a great means of promotion. If you are looking for flexibility, affordability and a longer money back guarantee at 45 days rather than the usual 30 days, HostGator could be a great hosting site for you. It has various types of hosting options like WordPress, Cloud, Dedicated and VPS. In its Shared hosting it has 3 plans to consider, the cheapest is the Hatchling at a regular per month cost of $6.95, next is the Baby plan and then the top tier is the Business plan at $14.95 a month. You can also get $100 each towards Google Adwords and Bing Ad credits to help with promotion of your site. It is easy to build the musical website of your dreams with the tools and site building templates HostGator have. It too comes with one click installations that could prove useful, including WordPress if you wish to use that though there are of course of options. HostGator are a popular choice as a place to host a website, for all kinds of people including artists. If you already have a website that has a high traffic count consider choosing one of the other plans, Baby or Business. HostGator have good support options for when you need to reach them and there is also the added benefit of video tutorials to help you with setting your site up. Apart from their scheduled maintenance time there is a promise of 99.9% uptime but you do have to pay extra for better security options. Musicians can host easily and securely with InMotion. This is a trustworthy site offering the best hosting for musicians and all kinds of sites. They have a very attractive 90 day money back promise, which is three times the usual offer! However they do not have an uptime promise for the basic plan, that starts with the top tier plan. There are three plans in the Shared hosting package, the cheapest at $7.99 regular monthly cost called Launch and then there is Power and then Pro for $15.99 a month. InMotion offer their users $150 towards advertising credits, a good thing when you are all about promoting your band and music. It is easy to use and no time at all to get set up. You get free backups too and good security. As well as offering Shared hosting they also have other options like VPS, WordPress, Reseller and Dedicated. Musicians can feel confident about the excellent services they get and while it is more expensive than some other options you do get a good number of features with that. As your music grows in popularity and you become more well-known you can then upgrade. One of the reasons this is the best hosting for musicians is the website builder, the one they use is the BoldGrid Website Builder. You do not need to have any other website development experience and with that tool you can build an expert site and have a good time doing it. 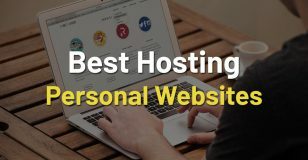 Halfway through this list of best hosting for musicians I bring us to Hostinger, a budget site great for hosting all different sites for all different kinds of people. Setting up a site with them is easy and quick leaving you the time you need to write a song, practice an instrument or go to band practice! They offer other types of hosting along with Shared, such as Cloud and VPS. There are three plans in the Shared hosting option, the more affordable is Single at $5.99 usual price a month, then there is Premium then Business for $15.95 monthly. When you are a musician whether starting out or experienced you do not need to have your attention taken away from what you actually want to be doing. Hosting with Hostinger lets you set up quickly and anyone can do it. You could be reaching out to fans, having a connection with potential jobs within moments. The cheapest plan has just 1 x processing power and memory so if you want something more you would have to pay for a higher tiered plan. You do not need to have a professional manage the site, it is easy to follow and there is 24/7 support should you have a question you cannot find an answer to. They have the mostly typical 99.9% uptime promise and the usual money back offer of 30 days. 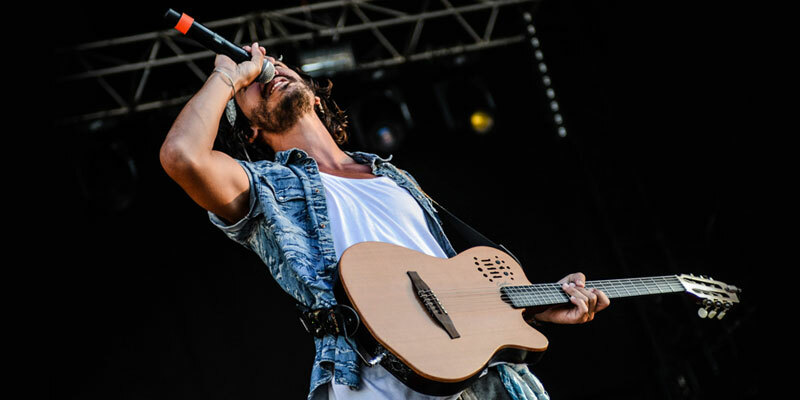 Almost 30 million users host their sites with Hostinger, some of them also musicians, because it is one of the best hosting sites for them. StableHost boast that they offer state of the art hosting that is affordable and ‘suitable even for beginners’. It has several types of hosting, Shared, VPS, Dedicated, WordPress and also Reseller. They use something called Clustered Hosting using over 100 SSD drives. This means better stability, performance, scalability and availability. There are three plans in the Shared hosting option, the cheapest starts with the aptly named Starter plan at $4.95 for the monthly price, then there is the Pro plan and then the Platinum at $29.95 a month. StableHost have a nice money back offer of 45 days if you are not happy with them, which is longer than most and good support. To have access to VIP support though you need to be on the Platinum plan. You also get spam expert help and hacking repair on the top tier too. This is one of the best hosting for musicians as they have good speed with SSDs, easy installation process and you can have your website up and running in just minutes. At a regular monthly price of $11.95 for their cheapest Shared hosting plan, SiteGround are the most expensive option for best hosting for musicians. But it is still quite affordable and the features you get with that price makes it worth taking a closer look at. It has three plans, the cheapest is called StartUp, then there is GrowBig and then GoGeek for $34.95 a month. When your music is more successful than the 10,000 visitors you can upgrade to the middle plan or even the top plan. There is just the usual 30 day money back guarantee and there is no free site transfer you can get with some providers. You do get 30 daily backups copies but no free backup restore or backup on demand. SiteGround has great support and there are one click installations and very easy to use web builder tools. The fact they use SSDs is important, it improves the speed of your page loading and when fans are using their tablets and mobiles to find out about you, they will not hang around for laggy sites. SiteGround have a good record for security and they offer a free SSL certificate. Your musical online presence is safe with them and while it may not be the cheapest site hosting service it is certainly one worth consideration. What is much liked by customers at GreenGeeks is that as well as offering affordable hosting options, they promise to do it in a way that is eco-friendlier. All of us have a role to play in doing their part to make changes to improve the planet, and you can even do it with the choice you make for the best hosting for musicians. They started up in 2008 but they do not offer a lot of other options for hosting, just Shared and WordPress. The three plans in their Shared hosting are called Ecosite, Ecosite Pro and then the top tier is Ecosite Premium. The cheapest starts at regular monthly payments of $9.95, the top tier goes to $24.95. GreenGeeks suggests that the basic plan is more for smaller sites just starting out, so if you are moving an existing site to them and you already have a good following you might want to start with the next plan up. With them you get a good uptime promise, decent speed and good security. They promise less waste and to be more energy efficient than other hosts, and also invest in renewable forms of energy too. Though the money back promise is just the regular 30 days they have nightly backups and you can transfer a site to them for free. A2Hosting are a successful hosting platform and have all kinds of websites and blogs homed with them. With them you can become an expert top performer with a lot of attention and a big online presence. They have been around for a while and offer hosting on both Windows and the more popular Linux servers. As well as having Shared hosting plans, they also have Reseller, VPS and Dedicated options too. This best hosting for musicians option is proud of its speed and reliability. It also has excellent customer support and though only a 30 day money back guarantee it does have both types of servers and an uptime promise. If you have a larger following for your music opt for the upper tiered plan. It is easy to use, quick to set up and could be a great way to get an online presence going for your music. It is one of the more affordable options too and offers one click installations. This is one of my lesser known suggestions for best hosting for musicians, WebHostingHub have just under 50,000 clients in fact. 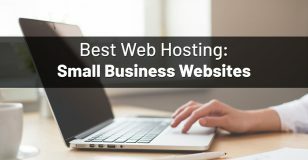 It does not have the larger range of hosting options like some of my other companies with just Shared hosting and WordPress hosting. Its lower plan called Spark is just a monthly regular price of $8.99, then there is the Nitro plan and then the Dynamo plan for a regular monthly price of $16.99. WebHostingHub also offer the transfer of 3 websites for free rather than the standard 1 and they have an amazing 90 day money back guarantee, far better than the others in those I have listed. You also get $150 towards advertising a great thing to help you promote your website and draw more attention to your music. It is worth noting for the artistic types interested in web design that while the basic plan offers no discount for that, you can get 20% and then 30% web design discounts in the next plans. Any of them though are easy to set up, have one click applications and good 24/7 support. You do have to pay more for backups though. Here are some tips for you when choosing a site to best host your musical website. Check what the usual monthly prices are before signing up, a lot of sites offer very attractive low start up prices but you could get a shock with the regular cost when the deal ends. As difficult as it can be sometimes, do check the small print as some sites will spring extra costs on you, or mention in passing something that may not sit well with you like site shut downs for example. Uptime promises are nice, but do they actually stick to their promise, look at reviews to find out what kind of down times sites really have occurred. Take advantage of the 30 day or 45 day or 90 day money back offers so you can try a site out and see if it suits you. Check for hidden charges sometimes to get the best security for example you have to pay for it. Use hosts that offer good support even to their basic plan owners 24/7. Whether you are musicians with web experience or musicians with no experience whatsoever, any of these sites can be navigated easily. Should you come across something you are unsure about there are also plenty of help options available from each of them. Your focus can turn to your music and connecting with your fans, management of the site once it is up and running does not have to be labor intensive.